Here is a video review of a fun drawing website. It teaches you how to draw cute things. You can draw pretty much anything. Check out the drawing tutorials at the YouTube channel of Fun2draw. Yejin Music Academy is where I have my piano lessons. A lot of kids take piano lessons there. For the group lessons, there are between 3 and 10 kids during each hr lesson. You sit down at the piano in the main room and play your songs with the piano teacher (seonsaengnim). Then you go into a separate room and play the songs for however many times you were told to. Sometimes you play each song 7 times, other times 10 times, or even 25 times if you are working on a recital song that you just started. 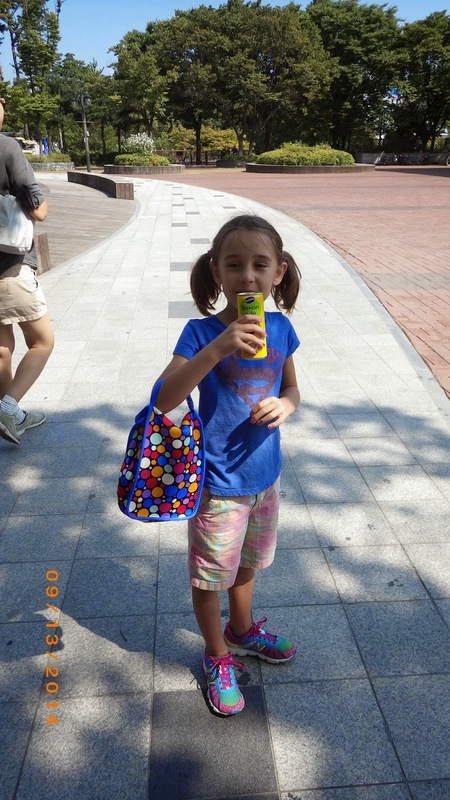 Yejin Music Academy is fun and I can play with my friends. I attend Yejin Monday-Friday. Yejin is different then in America because you sped more time practicing in a room than with the teacher and there are more group lessons than private lessons. They offer piano, voice, guitar and drum lessons. They offer pick up and drop off for kids in the local area. They have a piano recital every 4 months. 하 은: I like to play the piano. I went to the DMZ in Korea. I was happy that I went to the DMZ. Even though I got scared on the steep train ride into the 3rd Tunnel, it was worth it. I had a lot of fun, so much fun that I wanted to write an article about the DMZ. 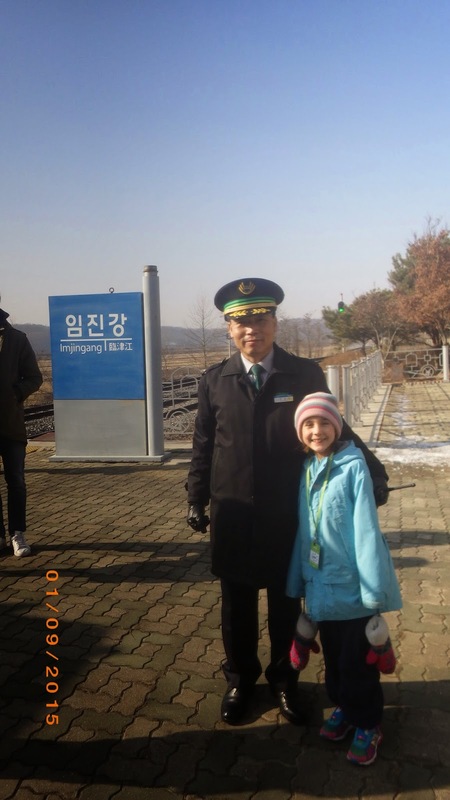 To get to the DMZ, we took the DMZ Train from Seoul Station. The DMZ Train went to Dorasan Station. Before we got to Dorasan Station we had to get of the train and show the Korean soldiers our passports. When we got to Dorasan Station, we got in line to take a tour. We left Dorasan Station and got on a bus that took us to a place where you can see North Korea. We saw a video that was in Korean, and I didn't understand anything. After that we looked through these goggle-things, but it didn't work for me, and then we had to leave right away. We got back on the bus and went to a restaurant to eat lunch. Do not go to the restaurant because you have to pay for the food. It was Korean food. I just ate rice. My mom and aunt ate soup. We did not have a choice of what food they gave us to eat. BRING YOUR OWN FOOD! Bring it because you have to pay for the food at the restaurant and you don't get to choose what food you eat there. After lunch we got on the bus again and went to the 3rd Tunnel. The 3rd Tunnel is one of the tunnels that the North Koreans dug to invade Seoul. There are four tunnels that all go towards Seoul. We went and saw a movie about the Korean War. We got headphones to listen to it in English so we could understand. After the movie we went on the train thing into the 3rd Tunnel. You can walk down to the 3rd Tunnel, but we didn't. You get off the train and then you can walk along the 3rd Tunnel. You cannot explore all of the 3rd Tunnel because it stops just before the actual DMZ line to keep you from going into North Korea. The tunnel is short, a lot of the adults bonk their heads. That is why adults wear helmets. You then took the train back up if you took the train down. Then we got on the bus again and went to the Peace Park. Don't leave anything on the bus at this stop! I did and lost my hat because the bus left and does not come back. We walked to Dorasan Station from here. The park has a lot of sculptures and you can see deer there. There is a guide who tells you about the park, but he was speaking Korean so we didn't understand him. Then you go back to Dorasan Station, it is a 5 minute walk. Go to the DMZ in the warm time because you're feet will get tired and cold if you go in the cold time. You are outside a lot. There's a new reporter in town! Hello, my name is Yahaira. I am 8 years old. I live in South Korea. My blog is for me to write articles about my life adventures. I became a kid reporter because I did not like that the news usually talked about crimes and other bad stuff.